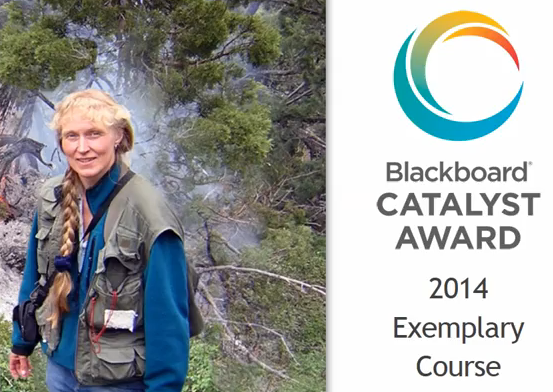 Congratulations go out to Dr. Eva Strand and her online course REM 507: Landscape and Habitat Dynamics, which was recently honored with an Exemplary Course Award through Blackboard’s Catalyst program. Dr. Strand is an Assistant Professor in the College of Natural Resources. Her online course features standout design, interaction, and communication practices that support student learning and exemplify excellence in distance education. We proudly support Eva’s success and hard work in contributing to the University of Idaho’s online Fire Ecology & Management master’s degree program. Learn more about Eva’s Exemplary Course Award, including visual images and examples from her BbLearn course.